This season’s outerwear trends are all about texture and Whistles looks to the most tactile of all – rendering this jacket from a thick, plush layering of shearling. The intense hue keeps the boxy silhouette contemporary, while the smooth leather lining allows for fuss-free layering – not that you’re likely to need much more warmth given the natural insulation of the sumptuous fabric. 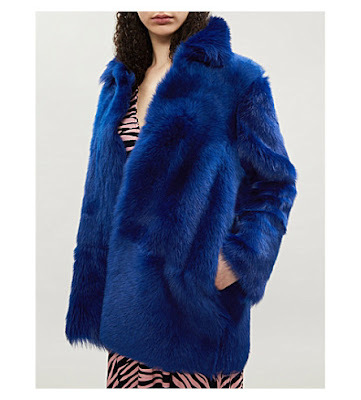 Go bold or go home in this coat all eyes are surely going to be on you... for all the right reasons.